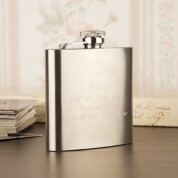 Every male needs a hipflask so he can enjoy his favourite tipple while on the move. 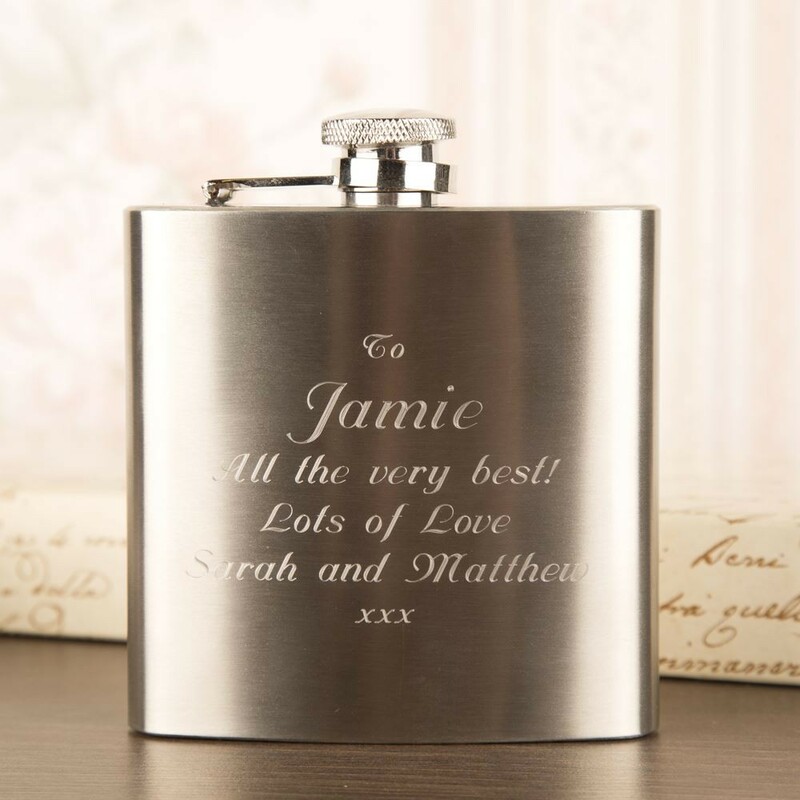 This gift can be added to his treasured collection and kept as a keepsake or used for special occasions. 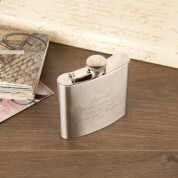 It is the perfect size to fit in his pocket making it ideal for any event such as a fishing trip or day at the races (to name but 2 uses). 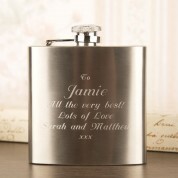 It is also an extremely popular wedding gift for a best man or usher. Another feature is the retaining cap which ensures the lid will not be dropped and lost in an environment such as a riverside or hillside. 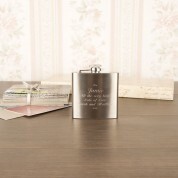 Dimensions: Approx 9.5cm wide x 9.5cm tall x 2cm deep.